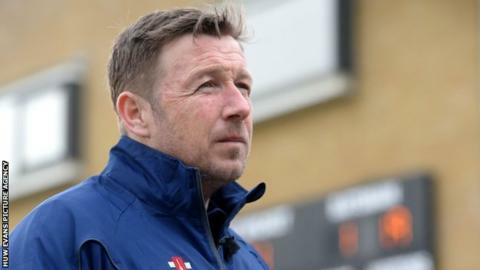 Glamorgan spin bowling coach Robert Croft says the Welsh county's head coach vacancy appeals to him. Croft, 45, who will join England's coaching staff for the one-day leg of their tour to South Africa, is viewed as a leading contender for the role. Former Glamorgan boss Toby Radford left the job last month, a year before his contract was due to end. "It's certainly a job that appeals to me. It's just whether it's the right time for the people here," Croft said. "There is a process in place. Lots of people will be interested in coaching the wonderful club that we have here." Former all-rounder Croft's playing career ended with Glamorgan in 2012. Commenting of his new role within the England backroom team, Croft added: "It's a 12-day trip to South Africa. Nothing technical, purely tactical. "Hopefully it will be an experience that I will gain from."